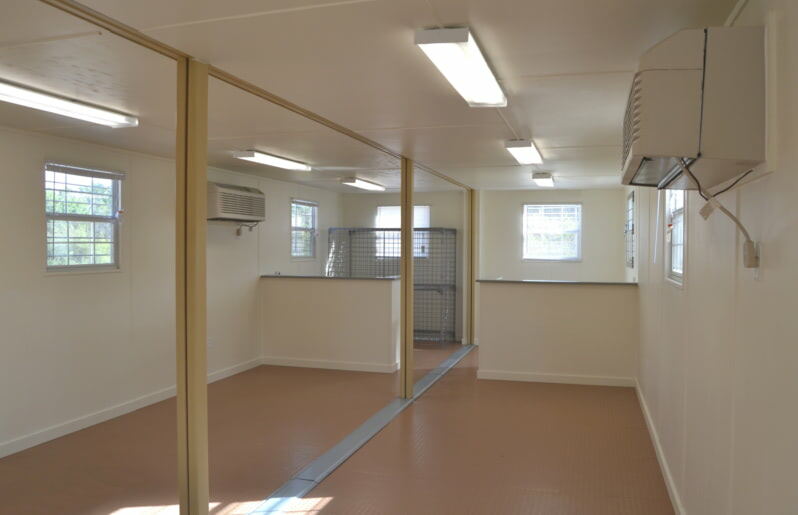 Modular shipping container buildings save developers time and money. Falcon Structures creates stackable container-based modules that can be assembled into permanent, multi-story buildings. Off-site construction in our controlled manufacturing facility enables us to deliver structures on time and on budget. We've streamlined construction by removing stumbling blocks including unreliable supply chains, materials theft, and weather delays, and unlike most contractors, our team works with shipping containers all day every day. After over a decade of modifying containers, we know how to turn around modules for custom shipping container buildings as quickly as possible while maintaining the highest standard of quality. Save money. Shipping container-based buildings compress time to revenue. Save time. 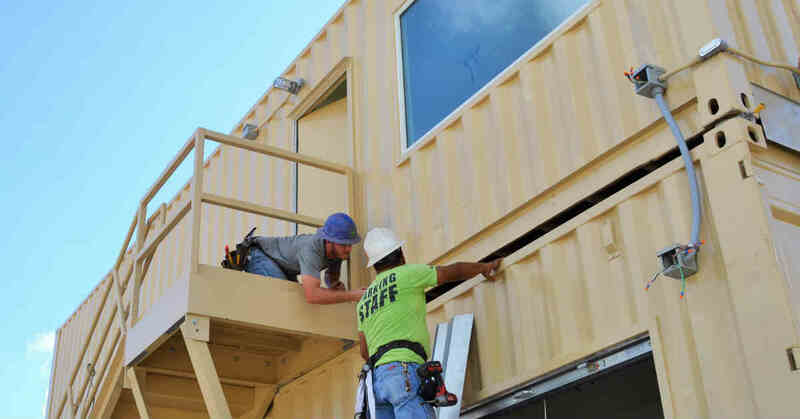 Assembling shipping container-based modules on site is significantly faster than traditional construction. Reduce hassle. A quality-controlled building process ensures quotes and deadlines are reliable. Shipping container buildings are easier to permit than ever before. Falcon Structure's Evaluation Service Report (ESR 4163), gives building code officials confidence in our containers. We streamline the permitting process by providing shipping containers approved for use as building materials under the ICC's acceptance criteria, AC462. Why is building with shipping containers so much faster than traditional construction? While customers prepare the site, our production team modifies shipping containers in-house and then sends them out for delivery. Once the modules arrive onsite, local contractors assemble the conex containers like LegoTM bricks. As illustrated in the infographic below, simultaneously manufacturing the container modules as contractors prepare the site dramatically truncates the construction timeline. When creating Fortress Obetz, Falcon Structures and local contractors assembled 122 of our modified conex containers into a three-story public gathering space in just 10 working days. Since the entire project was completed in less than a year—half the time traditional construction would have taken—the customer was able to profit months earlier thanks to the advantages of modular construction. Blog: Four Questions You Need to Ask About your Container-Based Building. Blog: How to Avoid Six Common Modular Construction Pitfalls. 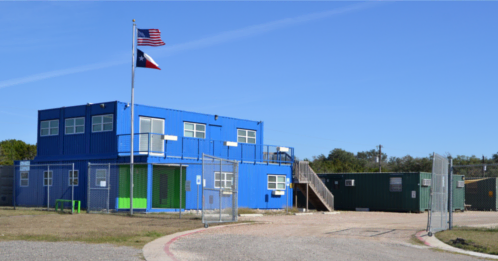 Blog: Permitting Shipping Container Buildings Through AC462 Code Compliance. Case Study: Fortress Obetz, The Largest Shipping Container Structure to Date. Have questions about shipping container buildings? Contact us at 877-704-0177 or email sales@falconstructures.com.